With tuxedo rental prices on the rise and the seemingly same selection everywhere you look, it makes more sense than ever to purchase a great quality suit that will be yours to wear again for roughly the same cost as renting a tux for just one day. We invite you to come in and browse our extensive selection of colours and patterns to choose from. Our catalogue features fabric samples that you can touch and feel, and we also have an in-stock selection of suits to choose from. 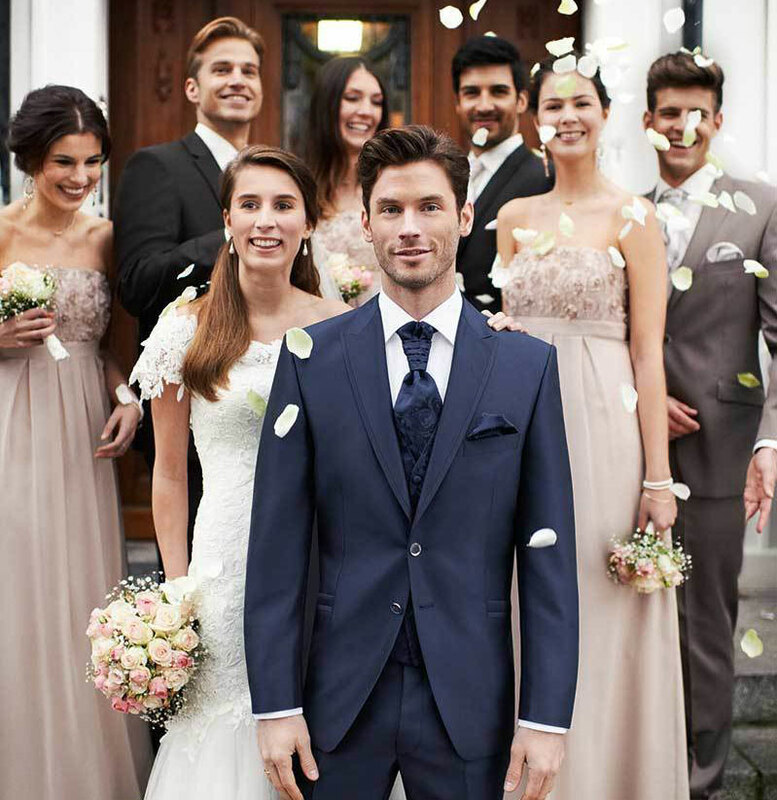 Jack Nash can customize a complete suit for your special day. We'll measure you and ensure that you receive the best fit for your body and style preference. We also have separates available, which gives you the flexibility to have separate sizes for your chest and waist to accommodate more athletic builds. We've been measuring and fitting men's suits for over 70 years and our in-house tailoring service will make any adjustments needed at no extra charge. It's just part of the service we offer at Jack Nash. 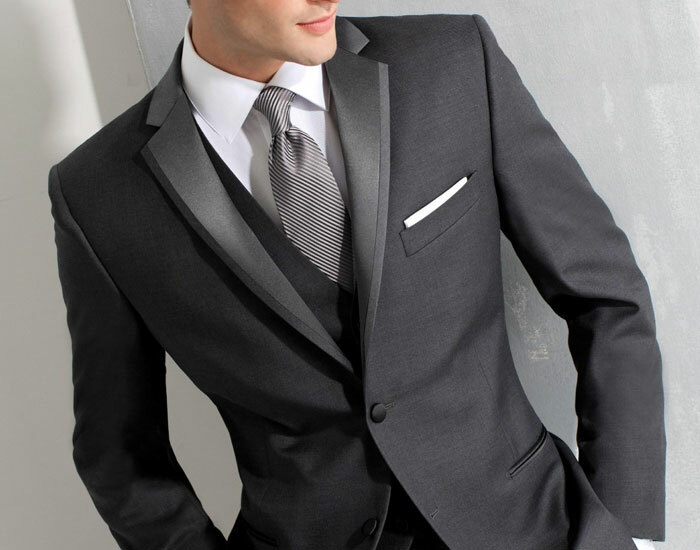 Along with your new groom's and groomsmen's suits, we'll help you with shirt and tie selections. Shirts and ties can be mixed and matched for any fit and colour combination you need. If you're looking for a colour match to coordinate with your bride and her bridesmaids, please bring in a colour sample so we can make the perfect match. Please contact us to book your consultation today or just come by the store. We can accommodate both individual and large party fittings. We’re always happy to help you look your best! The best part of your wedding suit purchase is it’s yours to keep. No return hassles, it belongs to you! "I stopped by yesterday looking for something specific, and was really impressed with the selections that were available. It's nice to find stylish quality men's clothing for the 40 something age group. The service was top notch and I ended up leaving with more than I went in for... Thank you again!!!" Need a new suit for your grad or prom? We can help! Getting the right look has never been easier! We'll help you find exactly what you need to look your best on your special day, and for years to come. Jack Nash is proud to offer a new line of suits for any special occasion in your life. Give us a call or stop in the store for a fitting or to take a look at our selection.